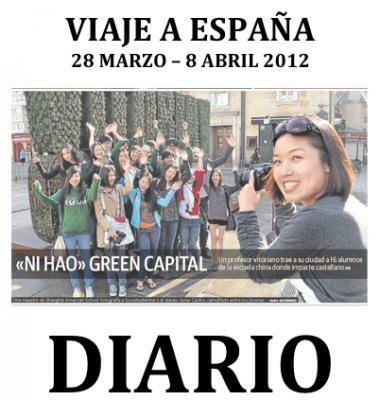 Hace un par de días regresé a Shanghai después de un fantástico viaje a España con 16 estudiantes de la escuela y otra profesora china. En próximos días iré colgando más info del viaje. 10/04/2012 11:48 basurde Enlace permanente. sin tema No hay comentarios. Comentar. AQUÍ podéis leer las impresiones de mis chavales sobre el viaje a España. 11/04/2012 03:27 basurde Enlace permanente. sin tema Hay 1 comentario. En esos enlaces podéis echar un vistazo al itinerario del Viaje a España 2012. Se han encargado de los seguros, alojamientos, comidas, visitas, autobuses, vamos, de todo lo que os podáis imaginar de manera que desde que llegamos a Barajas hasta que nos fuimos no me tuve que preocupar absolutamente de nada. Yo les pasé la idea y ellos montaron todo. Si estáis pensando en montar un viaje y necesitáis a alguien que os lo organice, ¡no lo dudéis! DBG es apuesta segura. Bueno, bonito y barato. 18/04/2012 13:17 basurde Enlace permanente. sin tema No hay comentarios. Comentar. SAS Puxi high school students will be able to go on the fourth annual Spanish trip during spring break from March 28 to April 8. Mr. Javier Castro, high school Spanish teacher, is the organizer of the trip. 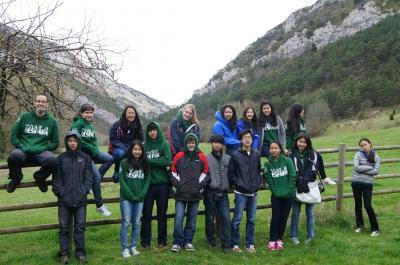 Each year, approximately twenty students have joined the trip. The main purpose of the trip, according to Mr. Castro, is ¨to let students see and enjoy the Spanish culture, and practice the language.¨ However, he added that there´s more to the trip. Students will then move to other cities to see medieval castles, visit a winery where the whole process of making the best wines in the world will be explained, and visit rural areas where students will stay at a hostel, go hiking, and experience how Spaniards live in the countryside. Mr. Castro said, ¨Students will see things that they won´t see in Shanghai by going on this trip, ¨ highly recommending that they be a part of this trip. In fact, this fourth Spanish trip will be extremely special because it is going to be the last trip to Spain for a while. According to Mr. Castro, next year there will be a ¨South American trip¨ instead. However, this new trip to South America may be more expensive due to the flight cost. The Spanish trip will cost 16,400 RMB, but students will be refunded a certain amount of money because of the currency change. Students, if they wish to sign up for the trip, should have gone by the finance office to pay the fee by November 28. However, even if they have missed the deadline, they can still contact Mr. Castro in order to sign up if they are interested and there are still openings. Photo: Mr. Castro is the organizer of the spring Spanish trip. 21/04/2012 15:55 basurde Enlace permanente. sin tema No hay comentarios. Comentar. 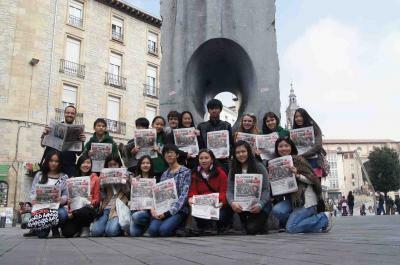 From March 28 to April 8, 2012, high school Spanish teacher Señor Javier Castro and Chinese teacher Ms. Celia Shi will take a group of students to Spain for a tour. 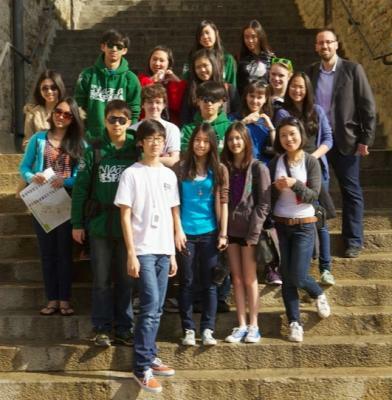 In previous years, Señor Castro has taken the students to a variety of different Spanish cities. Three years ago they went to Madrid, two years ago they went to Barcelona and Valencia, and last year they walked El Camino de Santiago, a pilgrimage route. This year, Señor Castro will take twenty students to the cities of San Sebastian and Bilbao and to rural Spain, as well as his hometown of Vitoria-Gasteiz. 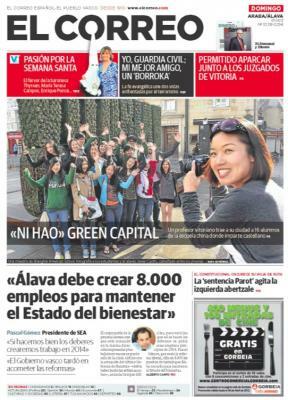 Recently, Vitoria-Gasteiz was given the title of ¨European Green Capital¨ and students will get to see why it earned that title through visits to museums, exploring the city, and going on a hike in the rural area. Everyone is welcome to join. Students do not have to be enrolled in a Spanish class. During the trip, students will stay with Spanish families in their homes so they can be more exposure to Spanish-speaking families and true Spanish culture. The deadline for the sign-up was November 28, but if you are still interested, please see Señor Castro. Photo: People walk on the streets of San Sebastian, in front of Basilica of Saint Mary of the Chorus. 21/04/2012 15:57 basurde Enlace permanente. sin tema No hay comentarios. Comentar. 22/04/2012 04:40 basurde Enlace permanente. sin tema No hay comentarios. Comentar. 22/04/2012 04:41 basurde Enlace permanente. sin tema No hay comentarios. Comentar. Esta noche (miércoles 1 a.m. hora española) en el programa ¨Noches Blancas¨ de Telemadrid Rafael Robles conversará con Fernando Sánchez Dragó sobre el libro ¨El español en la maleta¨, en el que colaboré escribiendo un breve relato sobre mi experiencia educativa en los Emiratos Árabes Unidos. El programa originalmente se iba a emitir el pasado 9 de febrero pero al final se ha retrasado hasta esta noche. AQUÍ en su día escribí algo en este blog sobre el libro. 24/04/2012 12:01 basurde Enlace permanente. sin tema Hay 1 comentario. 30/04/2012 16:48 basurde Enlace permanente. sin tema No hay comentarios. Comentar. 30/04/2012 16:49 basurde Enlace permanente. sin tema No hay comentarios. Comentar.